If you are in search of lake homes for sale in South Carolina, look no further than Lake Greenwood. Sprawling across Greenwood, Laurens, and Newberry Counties, Lake Greenwood has served as one of the state’s most prized recreation destinations for more than seventy years. The lake and dam not only stand as a testament to American perseverance and ingenuity, but they also prove that outdoor fun never goes out of style. Fishing is as it sh ...Learn more here! If you’re in search of lake homes for sale in South Carolina, look no further than Lake Greenwood. Sprawling across Greenwood, Laurens, and Newberry Counties, Lake Greenwood has served as one of the state’s most prized recreation destinations for more than seventy years. The lake and dam not only stand as a testament to American perseverance and ingenuity, but they also prove that outdoor fun never goes out of style. Lake properties for sale encircle Lake Greenwood and have access to its 212 miles of shoreline. Lakefront properties dominate the shoreline landscape, and 125 paved campsites put you close to all the water sports and recreation opportunities you cherish. Even off the water, there’s no shortage of adventures to have. The sudden burst of blooming wisteria each year attracts admirers from March into early April. Lake Greenwood even welcomes modern day treasure hunters to plunder booty in the form of geocaches. Lake Greenwood is conveniently located near many major urban and cultural hubs. It's only 60 miles from Columbia, SC; 65 miles from Augusta, GA; and 170 miles from Charleston, SC, so lake-view homes are secluded but never out of the way. Similarly, one is never too far from his or her next best round of golf, as more than ten quality courses reside in the Lake Greenwood area. If you’re interested in living on a Lake Greenwood golf course, visit GolfHomes.comfor property listings. 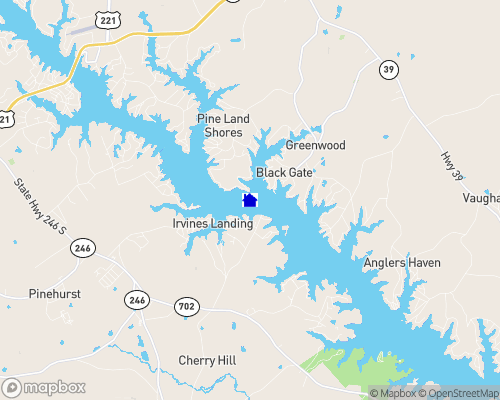 Lake Greenwood is formed by a hydroelectric dam across the Saluda River. The lake has 212 miles (341 km) of shoreline and 11,400 acres (46 km2). The Reedy River joins the Saluda at Lake Greenwood. Lake Greenwood is used for recreational boating and fishing. Lake Greenwood was created between 1935 and 1940 by the construction of the Buzzard's Roost Dam near Chappells, SC. The powerhouse was equipped with three turbines each driving a 5 megawatt AC generator to provide power to the Greenwood area. The park provides access to Lake Greenwood. This 11,400-acre reservoir lake provides boating and fishing opportunities year-round. Water Level: Average water level variance? November 1st the lake starts being lowered and is lowered considerably until February 1st, which is when most people work on their docks. Then it is immediately raised back to full pool by April 15th. Other: Bird Watching : Birdwatching is available at the park with a multitude of birds to enjoy year round. Geocaching : Geocaching is permitted. Several geocaches are located on the park. For more information visit the official geocaching website. Swimming is allowed in Lake Greenwood at your own risk. There is no designated swimming area and no lifeguards. Swimming is not allowed around boat ramps.